Mad For Books, Luv: HAPPY BIRTHDAY TRAVEL BUDDY!! Just a girl that's completely mad for books. But that's okay because all the best people are Mad, luv. Today is my Travel Buddies Birthday! But this post here is just so you know it's her birthday! 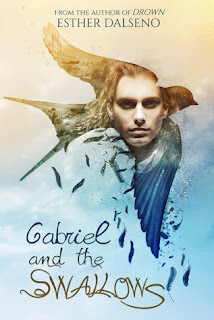 Gabriel and the Swallows Release! Alexis has read 17 books toward a goal of 100 books. Drown by Esther Dalseno RELEASE! The One Lovely Blog Award! Share book reviews and ratings with Alexis, and even join a book club on Goodreads. Watermark theme. Theme images by LonelySnailDesign. Powered by Blogger.